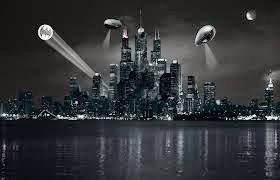 Hello!Now i'm going to tell you about my favourite Amazing Place.Well the place is just a fictional city but i like this place very much.So this place is Gotham City. Gotham city is a fictional American city appeaing in comic books and movies published by DC Comics,best known as the home of Batman.Right!Batman!The city of Batman.For your information,I love this character(Batman) because this character is remind me about sherlock holmes,Batman is the greatest detective in the world they said. 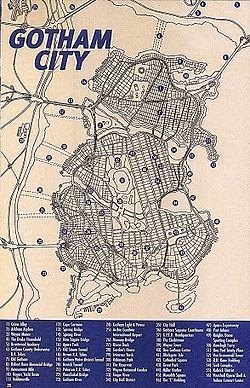 Some of readers identified Gotham city as New York today in a few site on New york such as Chinatown,Little Italy,14th street in Manhattan,and some bridges in New York.Locations used as inspiration for the urban position in Gotham City have included New York,Los Angeles,Tokyo,London,even Jakarta. Maybe some of you who knows Batman and his city is wondering,why would i spent my time to adore this place?What does make it so special,right?Well i don't really sure,but i just wanted to see where all of the crime in the place just get beat up by Batman and the GCPD(Gotham City Police Dapartment) haha.Seriously,this place is just a nest for a bad guy,gangstars,Corruptor,and even a crazymad like Joker. Many storylines added to the Gotham's history at the same time appears a lot of great people. 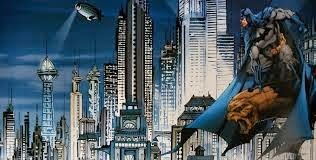 Well i think that is all that i can share about Gotham City.Thank you.